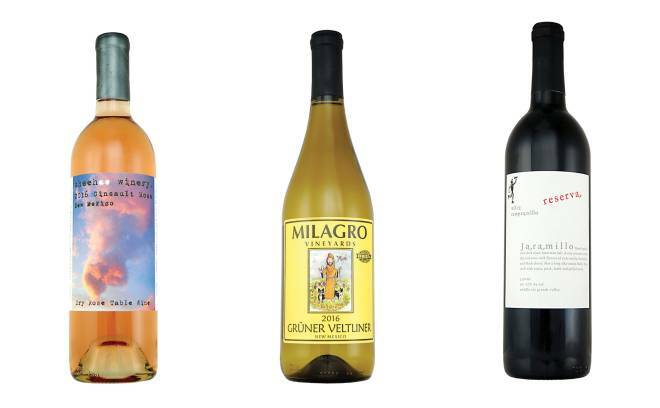 We asked wine expert Tasha Zonski-Armijo to recommend some exceptional New Mexico bottles for a hot summer day, and she came up with these three, which you can find through the wineries’ websites or at her family’s shop, Jubilation Wines and Spirits (3512 Lomas Blvd. NE, Albuquerque, 505-255-4404, jubilationwines.com). With aromas of strawberry and orange blossom, this refreshing, fun rosé is perfect for a summer picnic or chilling under a shady portal (sheehanwinery.com). Citrusy and peachy, with a good balance of fruit and acid, this Austrian-style white from Corrales pairs well with a bathing suit and takeout Thai (milagrowine.com). The toasty cherry, blackberry, and vanilla in this oak-aged red from Belén stand up to any meat you care to pull off the grill or out of the smoker (jaramillovineyards.com).